Acapulco | Strike of Lightning! Members of The Sweeper captured! El Chivo and El Beni! Members of the Federal Police arrested four suspected members of criminal groups and freed a kidnap victim, as part of the coordinated actions of the Warrior Insurance. Regional Security Chief of the Federal Police, Luis Cárdenas Palomino, reported that one of the operatives arrested was Martin Campos, alias El Chivo and Ascencio Benito Cardenas, also called El Beni, who are considered alleged criminal group members of the Sweeper. These individuals were arrested in the vicinity of the Grand Plaza in Acapulco, Guerrero, in possession of two coolers containing human remains and are considered likely responsible for the kidnapping, said the official from the Ministry of Public Security (SSP) federal. The suspects were holding a 16 year old victim, who was rescued alive, and confiscated a vehicle, rifle, and several rounds of ammunition, also found was some radio equipment and communications and other documents. He added that a another person arrested was Joel Ramos, identified as El Indio , and Samuel Castro Oliver Bello, known as El Moreno, alleged members of the criminal group called Independent Acapulco Cartel, a rival criminal organization sweeper . During the presentation of the four alleged kidnappers at the Command Center Cárdenas Palomino facilities of the Federal Police, they explained that these people were captured in the streets of the Colonial Revival of the port city. He said that the suspects attempted to board a car and when they noticed the presence of federal agents attempted to escape on foot but were apprehended. These people were found in possession of two handguns, several rounds of ammunition, two phones, documents, five kilograms of marijuana and 25 doses of a white powder suspected cocaine. top leaders of Mexico’s La Barredora drug cartel Captured! One of the top leaders of Mexico’s La Barredora drug cartel, a gang that was formed recently and has been blamed for a wave of murders in the Pacific resort city of Acapulco, has been captured, a high-level police official said Tuesday. 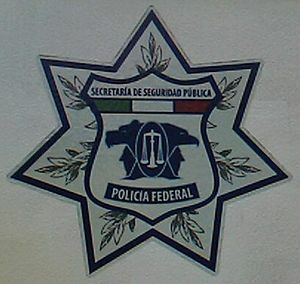 Christian Arturo Hernandez Tarin, suspected of being one of La Barredora’s founders, and three associates were arrested in Mexico state, which surrounds the Federal District and forms part of the Mexico City metropolitan area, Federal Police drug enforcement unit chief Ramon Eduardo Pequeño said. Hernandez Tarin “had under his command at least 100 people, who performed security, homicide, lookout and drug distribution functions in the port city of Acapulco,” Pequeño said. La Barredora, which was led by Hernandez Tarin and Eder Jair Sosa Carvajal, has been fighting the Cartel Independiente de Acapulco for control of the illegal drug trade in Acapulco, a popular tourist destination in the southern state of Guerrero. The two gangs were formed after the break-up of the organization led by Edgar Valdez Villarreal, who was known as “La Barbie” and was arrested by the Federal Police on Aug. 30, 2010. The 30-year-old Hernandez Tarin was arrested by security forces members taking part in “Operation Safe Guerrero,” which was launched on Oct. 6 in an effort to reduce the soaring crime rate in the state. Drug-related murders surged 100 percent in Guerrero in the January-September 2011 period, compared to the same period last year, the federal government said. Acapulco, a favorite among Mexican and foreign tourists for decades, has lost business to other destinations amid a 357 percent jump in murders during the first nine months of this year, making the port city Mexico’s second most violent city after Ciudad Juarez. The war between La Barredora and the Cartel Independiente de Acapulco is behind the rising body count in the Pacific port city, officials said. Hernandez Tarin is the son of Arturo Hernandez Gonzalez, a close associate of Juarez cartel bosses Amado and Vicente Carrillo Fuentes who is now doing time in a maximum-security prison, the Federal Police said. The La Barredora leader began his criminal career with the Juarez cartel in 2003, smuggling marijuana from Ciudad Juarez into the United States, intelligence reports say. Hernandez Tarin later worked as a hitman in the city of Cuernavaca for Arturo Beltran Leyva, a drug lord who died in a shootout with the army in 2009, and then joined the gang led by Valdez Villarreal. The leaders of La Barredora and the Cartel Independiente de Acapulco “have moved to the central part of the country” for security reasons, Pequeño said. Jose Carlos Espinoza Moreno, 27, Jorge Humberto Silva Gonzalez, 30, and Jose David Sanchez Delgado, 64, were arrested along with Hernandez Tarin. The Federal Police seized an armored Porsche SUV, four AK-47 assault rifles, six ammunition clips, a handgun and communications gear from the suspects. Two US citizens are reported to be among four people killed in an attack by armed men on a vehicle in the Mexican city of Ciudad Juarez. In a separate incident also blamed on drug violence, two severed human heads have been found in the capital, Mexico City. Although the dual findings mark another violent weekend in Mexico’s escalating drug war, some schools in the Pacific coast resort of Acapulco reopened after months of closure due to violence. The El Paso Times reported on Tuesday that the US consulate in Ciudad Juarez had identified the US citizens killed over the weekend as 19-year-old Pablo Noe Williams and his mother, 35-year-old Rosa Williams. The others killed were identified as 24-year-old Alberto Nieto Nieto and 21-year-old Alma Yesenia Flores. The Chihuahua state attorney general’s office said the 4WD vehicle with Texas plates that the four were in on Friday evening in Juarez was hit with bullets from assault rifles. Police in Mexico City found the severed heads on a street near a major military base, a tactic of feuding drug gangs that has long affected other parts of the country while largely sparing Mexico City. Decapitations are frequently carried out by gangs in violence-plagued cities such Acapulco and in northern Mexico, often to intimidate or threaten rivals. But it was the first multiple decapitation in the capital since January 2008, when two heads were found near the city’s international airport. Two heads were also found in the same vicinity in December 2007. Those killings were believed to be related to a drug shipment that had been seized at the airport. The office of Miguel Mancera, Mexico City’s attorney general, said in a statement that one of the heads found on Monday had been placed on the bonnet of a 4WD vehicle, and the other was found on a nearby sidewalk. The heads were found just before dawn on the side of a busy ring road across from the army’s headquarters at Military Camp 1. Mancera was quoted by local news media as saying on Monday that the heads were accompanied by a note referring to the “Mano con Ojos” or “Hand with Eyes” drug gang. The organisation has been active in the state of Mexico, which borders Mexico City, and in some southern districts of the capital. Mancera gave no details of what the message said. The Hand with Eyes gang formed after the arrest of Edgar Valdez, aka “La Barbie”, an assassin for the Beltran Leyva cartel until he was detained in 2010. The alleged leader of the Hand with Eyes, Oscar Osvaldo Garcia Montoya, 36, was arrested in July and told prosecutors he helped carry out or ordered more than 600 killings. In Acapulco on Monday, about 120 soldiers patrolled streets around schools in the city’s rougher neighbourhoods, but that still did not convince students, teachers and parents to reopen all of the 460 schools that had closed because of extortion demands and threats. That number represents about one-third of all schools in the city of about 800,000. Many of the mainly primary schools had been closed since late August, when students were scheduled to return to classes after summer vacations. Banners, handwritten signs and other threats had appeared around schools in some cases demanding that teachers hand over part of their pay as protection money. The state government reached an agreement last week to start reopening schools gradually, in exchange for increased security patrols, the installation of alarm buttons and promises to investigate specific cases of threats or extortions. But in working-class neighbourhoods far from the city’s glittering resorts, few schools were open on Monday. The bodies of 35 people with links to organised crime have been found dead in two abandoned lorries on a highway underpass in eastern Mexico, authorities say. The bodies were discovered near a shopping centre in Boca del Rio, adjacent to the port city of Veracruz, state prosecutor Reynaldo Escobar told television station Milenio. “These were people involved in organised crime,” Escobar said of the victims. Seven had been identified. The bodies piled up on the streets showing marks of torture, while body parts were also found. Newspapers Milenio and La Jornada said, some of the bodies had their hands tied and showed signs of torture. Local television showed some corpses dumped on the street and others in the vehicles covered with blue plastic sheeting. Earlier on Tuesday, the Mexican army announced it had captured a key figure in one of the country’s newest drug gangs, the Knights Templar, that is sowing violence in western Mexico. Saul Solis, a former police chief and one-time congressional candidate, was captured without incident on Monday in the cartel’s home state of Michoacan, Brigadier General Edgar Luis Villegas said during a presentation of Solis to the media. He is accused of drug trafficking, kidnapping and various attacks on the military and federal police. The Knights Templar split late last year from La Familia, a drug gang known as a major trafficker of methamphetamine. In other cases, Drug traffickers in Mexico have taunted police with body parts in Acapulco. Police in the port city received reports on Tuesday of an “abandoned human head” on a busy street. Officers answering the call also found a human torso stuffed into a bag, the police force said on its website. Later, the deceased’s legs and feet were discovered hanging from a downtown bridge, with a message from the alleged perpetrators to authorities. On another bridge on the road to Mexico City, north of Acapulco, police found the victim’s hands, bearing a note to state and local governments. The messages “appeared to be put up at the same time, and had the same lettering”, according to the police report. Since 2010, Acapulco has increasingly been gripped by violence as warring drug cartels battle for control of the drug trafficking market. In another incident on Wednesday, at least nine people were killed in drug related violence. These deaths add to the many thousands killed over the past three years. Across the border, Mexico’s drug war festers less violently. Signs of the drug trade can be gauged from the increasing number of corrupt American officials identified.